“w00t”, an expression of joy coined by online gamers was crowned word of the year on Tuesday by the publisher of a leading U.S. dictionary. Massachusetts-based Merriam-Webster said “w00t” — typically spelled with two zeros — reflects a new direction in the American language led by a generation raised on video games and mobile phone text-messaging. It’s like saying “yay”, the dictionary said. “It could be after a triumph or for no reason at all,” Merriam-Webster said. Visitors to Merriam-Webster’s Web site were invited to vote for one of 20 words and phrases culled from the most frequently looked-up words on the site and submitted by readers. Runner-up was “facebook” as a new verb meaning to add someone to a list of friends on the Web site Facebook.com or to search for people on the social networking site. Merriam-Webster President John Morse said “w00t” reflected the growing use of numeric keyboards to type words. One Web site, www.thinkgeek.com, already sells T-shirts with the word “w00t” printed on the front. “w00t belongs to gamers the world over. 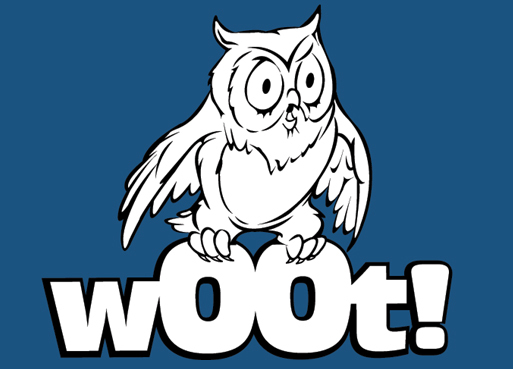 It seems to have been derived from the obsolete ‘whoot’ which essentially is another way to say ‘hoot’ which itself is a shout or derisive laugh,” Think Geek said on its Web site. “But others maintain that w00t is the sound several players make while jumping like bunnies in Quake III,” it added, referring to a popular video game. Online gamers often replace numbers and symbols with letters to form what Merriam-Webster calls an “esoteric computer hacker language” known as “l33t speak.” This translates into “leet”, which is short for “elite”. A separate survey of words used in the media and on the Internet by California-based Global Language Monitor produced a different set of winners on Tuesday. “Hybrid” took top honors as word of the year with “climate change” the top phrase. Global Language Monitor, which uses an algorithm to track words and phrases in the media and on the Internet, said “hybrid” had broad connotations of “all things green from biodiesel to wearing clothes made of soy to global warming”. Runner-up was “surge,” based on the “surge” of 30,000 extra U.S. troops deployed to Iraq since mid-June, followed by the word “Bluetooth,” a technology used to connect electronic devices via radio waves. “The English language is becoming more and more a globalized language every year,” said Global Language Monitor president Paul Payack, noting that this year’s list included words also culled from India, Singapore, China and Australia.